The Gigaset C620A Quint is an innovative blend of style and functionality, designed to impress with a wealth of useful features and terrific sound quality. Offering innovative call blocking features to put an end to unwanted disturbances and bring peace back into your home, the C620A also facilitates calls you do want in crystal clear clarity thanks to HSP technology. The perfect choice for any home looking for a top-quality set of 5 cordless phones. 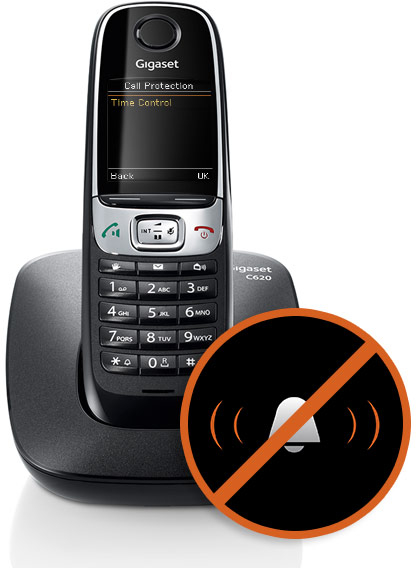 The Gigaset C620A offers easy and simple protection against unwanted and unwelcome disturbances, with features such as time-controlled call silencing. 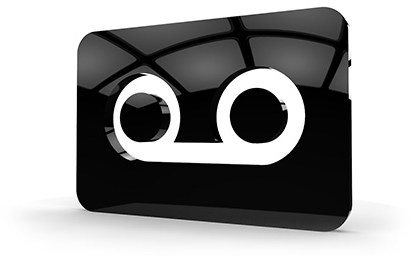 Simply programme the handset with a start time and end time, and the ringer will be silenced for the duration; calls will still be displayed on screen and can be answered. There is also the facility to blacklist up to 15 numbers, which will block them completely from coming through. Gigaset are pioneers in sound technology, and developed HSP protocols, which enhance the clarity of calls above that of a standard landline. Therefore, with the C620A you can expect to enjoy all your conversations free from distortions and in the highest quality available, even when using the integrated loudspeaker for comfortable hands-free. And with a dependable indoor and outdoor range, you have the flexibility to roam further from the base without any deterioration in sound. An answering machine doesn’t need to be used solely for recording messages (though with space for up to 55 minutes and playback controls on the base, the C620A performs this purpose impeccably); it can also enable you to screen your calls so you can decide whether or not to answer. The intuitive answer machine on the C620A can also be set up to notify you by text whenever you have a missed call or new message waiting, and can even forward your calls to another number. 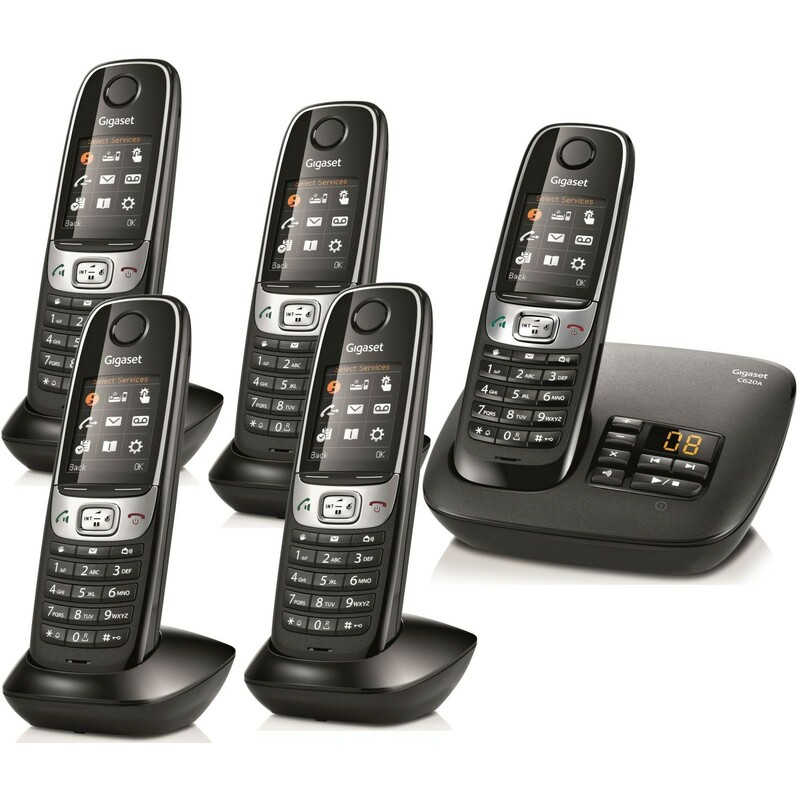 The Gigaset C620A Quint is a stylish and practical set of digital cordless phones ideal for larger homes or offices. Excellent phones - well built and fully featured. But there\'s one flaw: the cradle socket. Almost unbelievably poor design from a manufacturer with as high a reputation as Siemens makes it very difficult to locate the phone into its charging cradle. (This is not helped by the angle of the phone in the base unit being quite different from that of the additional units.) Put a Panasonic phone into its cradle and slightly mis-align it and it will usually fall in - these will fall out. I chose this phone as it is a ‘Which?’ Best Buy and I am very happy with the handset’s appearance and performance. Very happy with my purchase. 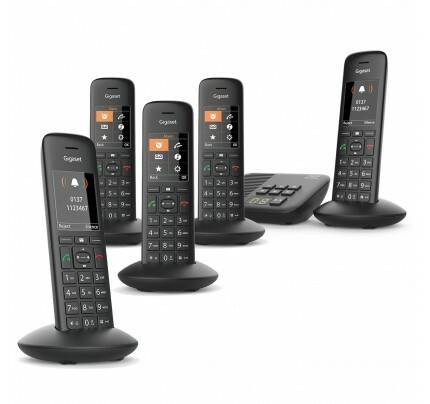 Purchased the Gigaset C620A from liGo last week to replace a defunct set of BT phones. I did a lot of research online prior to ordering, and settled on this as it came with a 2-year warranty and received a lot of praise for it's sound quality. 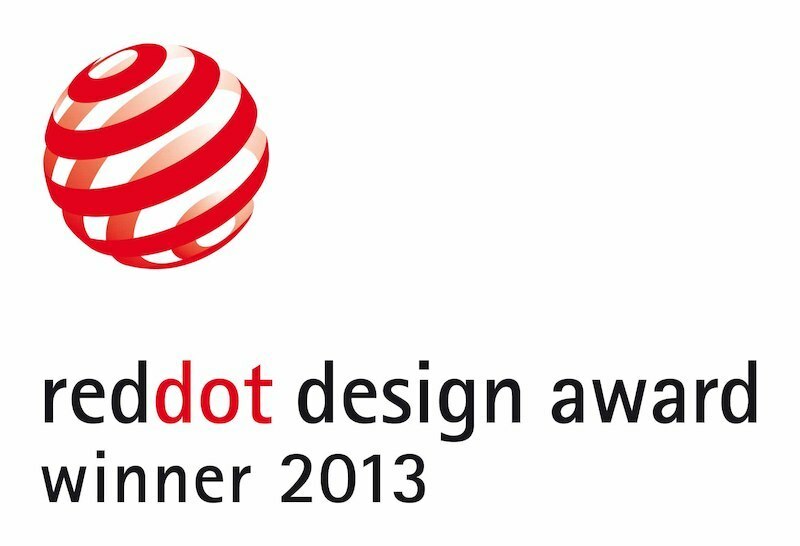 Delivery was very prompt and upon opening the package I was extremely impressed with the look and feel of the handset. The screen is a decent size, and the buttons are very responsive. Set-up was straightforward - you have to allow the batteries to fully run down after their first charge but can use them during this period. Glanced through the instruction manual as it is pretty long, and most of the features are easy enough to work out. I noticed a huge difference in sound quality; these phones are far superior to our last set (granted they were pretty ancient). Loudspeaker function works very well as you can stand the handset straight up. Brilliant set of phones that are well worth the money! Would definitely recommend! Great phone with plenty of features. We needed to but a new set of cordless phones after our old BT model, which we've had for over 10 years, finally gave up the ghost and stopped working. After a lot of research and making comparisons with other makes and models we finally decided on the Gigaset C620A, and have been very happy with our choice. Delivery from liGo was fast and the phones were very easy to set-up on arrival. The screen is large and bright, which makes it easy to see what you're doing, and there are a lot of features that you can use. The look and feel of the handset is a vast improvement on our previous model, and would definitely recommend.